Curran Calligraphy offers unrivalled professional penmanship which adds true beauty and elegance to any wedding stationery range. Our focus is a personalised quality service and we pride ourselves on attention to detail. 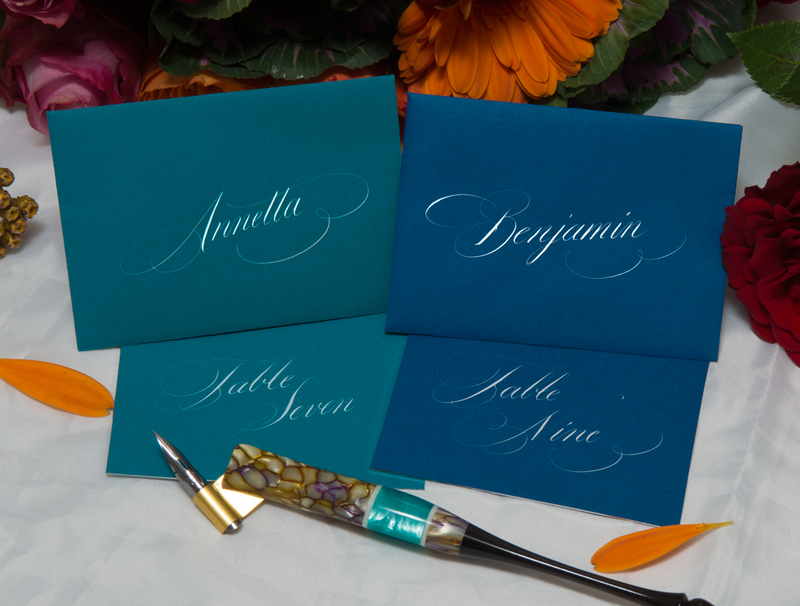 The stationery sets the tone and style of the occasion, have it stand out with a perfect handwritten calligraphic script. 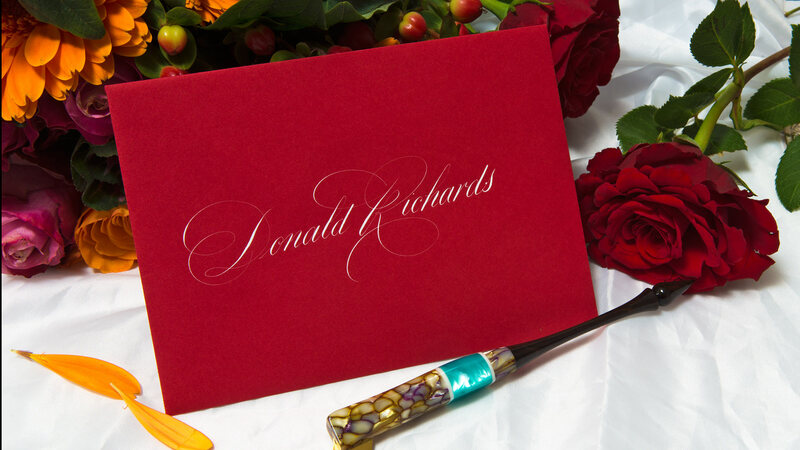 Why Choose Curran Calligraphy for your Wedding? Every bride has a vision of the way her wedding should look and we are dedicated to help you achieve this. 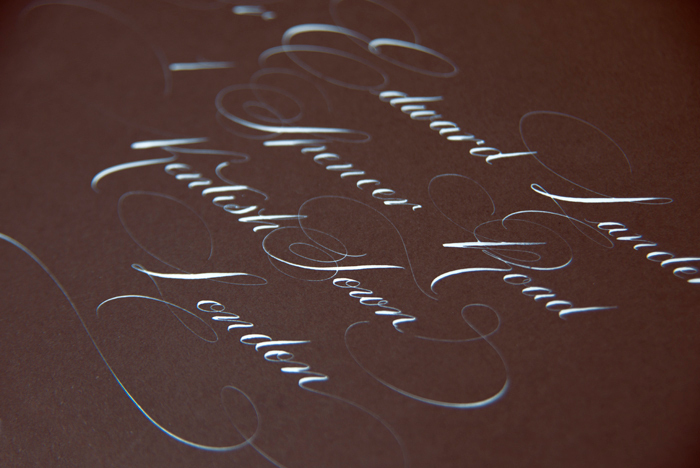 Nothing adds more grace and elegance to wedding stationery than fancy writing in Copperplate or Spencerian calligraphy. 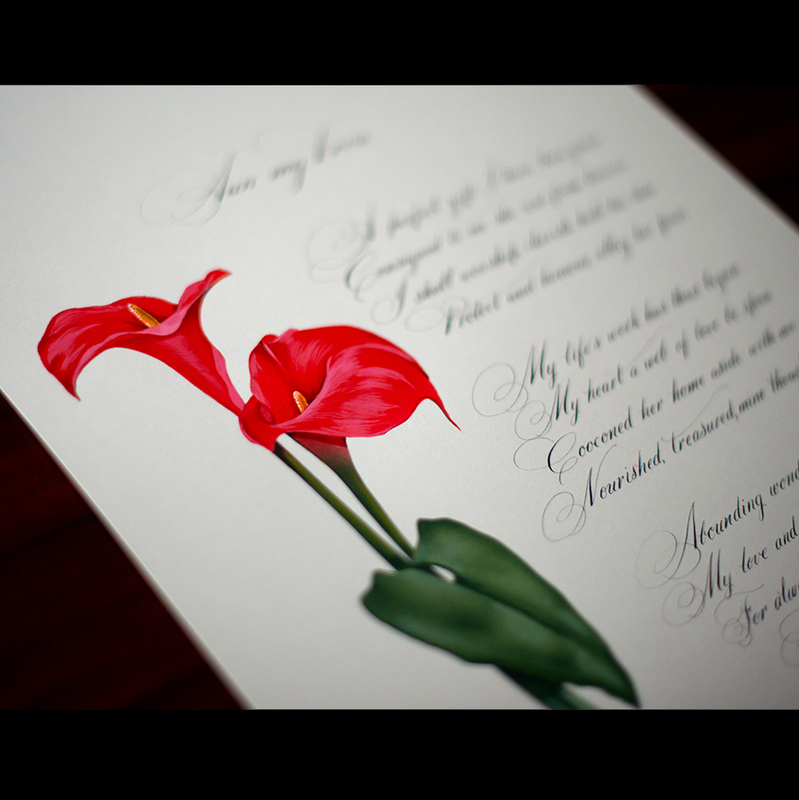 Here at Curran Calligraphy our professional calligrapher has more than twenty years experience in both these beautiful scripts. As an experianced graphic designer we understand the importance of a deadline. You can feel secure in the knowledge that once we commit to a timeframe we will stick to it. If you have any questions regarding any aspect of our handwritten calligraphy or bespoke wedding invitation design service, we would be delighted to hear from you and invite you to contact Curran Calligraphy through our contact page.